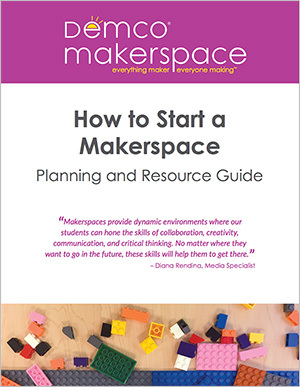 So you want to get on the makerspace bandwagon and start one in your library? I was in this position back in 2013 when library makerspaces were first getting noticed. While perusing Facebook, I came across a post about a makerspace that was launching at a library in Indiana. I shared the post and remarked about wanting to do something similar at the library where I had just become the director. As luck would have it, a colleague saw my post and mentioned that the Pennsylvania Library Services and Technology Act (LSTA) grant application would be opening soon, and creation spaces were one of the areas that they would be awarding grants in. With the support of my board president, who was also interested in the Maker Movement, I dove in and put together an application asking for just under $30,000 for equipment, supplies, training, programming and books to launch our space. Since launching our space, CreateSpace@MFL, I’ve been successful in obtaining a few other grants to help supply our space with new equipment and launch a new program. Since the initial LSTA grant in 2013, we obtained four 3D printers through the 3D Systems MakerLab Grant program; launched the TechniGals Summer STEAM Camp through Illinois Librarians Explore, Apply and Discover (ILEAD); and obtained a variety of tools and materials through Instructables Build Nights. 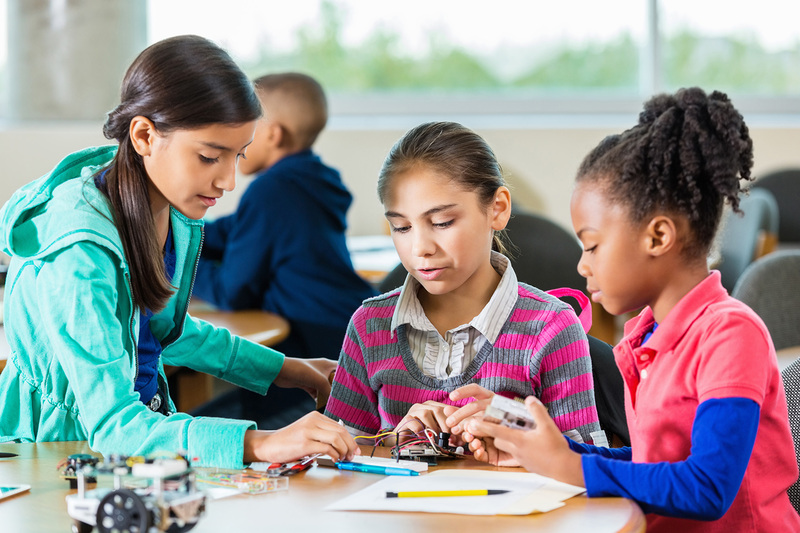 Besides grants, other ways to obtain funding for your makerspace include tapping into local businesses and your friends group, as well as making direct appeals to library users who are already engaged in programming at your library. For every grant application that brings you success and funding, there are others that will be written unsuccessfully. There are any number of reasons why you may not win a grant, and sometimes you can even contact the grantor to gain insight as to why your application was not successful. Most grant programs are extremely competitive, especially in today’s environment where governments are cutting back funding or money gets held up in bureaucracy. You need to create an application that is creative, well-reasoned and stands out in the crowd of applicants. Think about your library’s current state: What kind of programming are you already offering in your library? How do you see your programming growing or expanding? What does your current staffing and available space look like? You don’t need a lot of space to create a makerspace in your library, but if you don’t have an area to set up a permanent space, you will need to consider storage needs and what is practical for portability. The space I designed for the Middletown Free Library’s CreateSpace@MFL is a pop-up space, as we only have one meeting room that is shared for all programming and meetings. When I wrote the LSTA grant application, I emphasized that our space would be a portable pop-up space that would be set up in the library and would allow us to take our programs out into the community as well. The ability to bring maker programming into the community was also the main part of our grant application for the Maker Lab Club. For this grant, we were asking for four 3D printers to add to the two makerbots we already had. In this application, I made the case for more printers to not only support 3D printing programs in the library, but also to set up a 3D printer lending program with local schools and public libraries. Craft your argument around your library’s strategic mission: Once you have determined what your library’s and community’s needs are, you will need to make an argument as to why your grant is necessary or how it supports the mission and strategic plan of your library. You will already have part of that answer, since you will have already explored your library’s needs, ability to support making and your current programming. Next, you’ll want to step outside the walls of your library and look at the larger world of education and making. If your library does not have a strategic plan or your plan is outdated, this additional research will be very helpful to you when crafting your argument as to why you wish to bring making to your library. For our 2015 ILEAD project, we had to apply to be accepted into the program, and during the program we wrote an LSTA grant to get our project off the ground. ILEAD is a program supported by the Institute of Museum and Library Services that started out in Illinois and has expanded to 10 more states. For the ILEAD program, librarians form teams with other librarians and community members to find a solution to a community problem that uses technology. For our project, we teamed up with our local Penn State campus to explore a way to get girls excited about STEAM (Science, Technology, Engineering, Arts and Math). We began by evaluating why this was an issue in our community and did further research to narrow down our focus to middle school girls and come up with a solution to the problem. Our solution resulted in a week-long, half-day camp for girls going into grades 6–9 that includes hands-on workshops and projects, as well as the opportunity to meet and talk to women working in STEAM fields. The LSTA grant provided us with $5,000 to get our camp off the ground, and this year we are doing it again, thanks to a $2,000 donation from a local, women-owned-and-run technology company. As you can see from this experience, grants are not the only way to obtain funding to get your maker programming off the ground. Tapping into your local business community is another great way to obtain funding for your makerspace and maker programs. Your library board is a great place to start when looking for these kinds of connections. Often board members will know someone or have a connection to a person who can get you in the door to make your appeal. If you are looking to tap into local businesses for support, I would suggest trying to set up a face-to-face meeting. Bringing along a board member or the person who helped you obtain the connection is a great idea, and having a non-paid person championing your library can help make your case more compelling. Alternately, you can always make an appeal to your users and the community through a direct campaign asking for money to support your makerspace. There are many ways to make this kind of ask, thanks to crowdfunding sites like Indigogo, Kickstarter and others. Recently we have had some luck with making an appeal directly to our users through email. By going directly to those who will benefit from the program, you can help build support to get your project off the ground. You may find you have some very generous people in your community who are looking to support a specific project or program, rather than just writing a check to the library where they have no say in how the money is spent. While regular fund drives are important for the overall financial success of the library, why not try asking directly for support for your project or idea? While this is by no means an extensive guide to finding money for your makerspace and maker programs, I hope my experience can help you get started in finding the money to bring your dream space to life! These are books that I have found useful in making the case for making in the library in my grant applications. 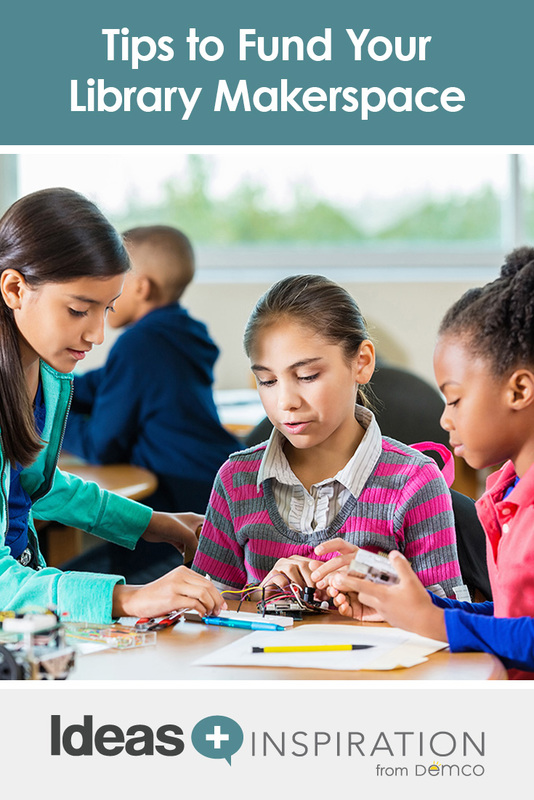 The first three will give you great insight into the current state of education, the skills people need to be successful in the 21st century, and guidelines for what makes a maker program engaging and allows for real learning to take place. The fourth, Wes Moore’s The Work, is an inspirational read. This book has a great resource guide that can help you identify grant makers and help you make connections for collaboration.